Grip Far More Superior Than Regular Chalk! 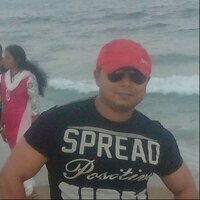 WEIGHT LIFTING - CROSS FIT - BODYBUILDING - KETTLE BELLS - ROCK CLIMBING - GYMNASTICS - BASEBALL - BASKETBALL - YOGA - TRACK AND FIELD AND MUCH MORE!  Liquid Grip is a water based hydrocellulose thickener that allows for rosin and chalk to mix in a suspension formula. This new innovative product is an exceptional drying agent that gives the user a dry and rosin feeling when applied. 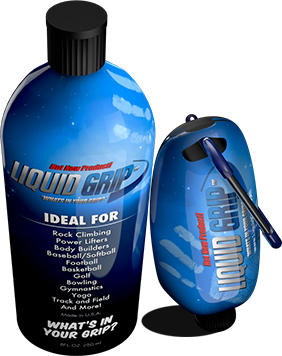 The product dries within seconds of applying and once dry binds of the fatty acids and does not transfer to any object. Rosin powder and chalk both leave a residue of dust that slightly transfers and ultimately can be inhaled by the user causing discomfort. Liquid Grip outperforms both rosin and chalk while leaving no mess or transfer only giving the user a longer more effective grip. Manufactured and bottled in the US. 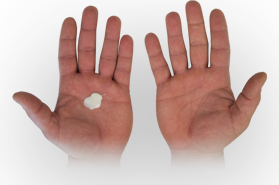 Once applied you will feel it work immediately binding to your hands giving you the grip you need for any application. It leaves no messy residue, or harmful dust! A small application is enough to last through the toughest, sweatiest, training session. 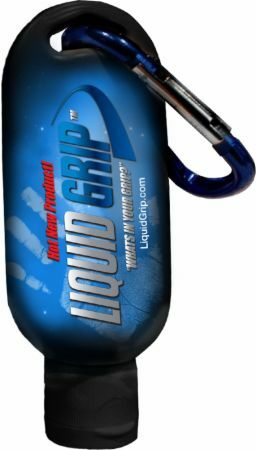 Feel how Liquid Grip activates as your hands become sweaty creating an invisible grip like no other. I LOVE THIS PRODUCT... i dont lift without it, i use to use gloves for grip but it left my hands smelling and gloves also had a smell to it, i was skeptical on using this product but once i used it game changer i thru all my gloves and grips away this is all u need for grip . I bought the big bottle and the small keychain bottle i take that to the gym and fill it up with the big one at home..... AMAIZING PRODUCT. Works great! My gym doesn't allow chalk and this is a perfect replacement. Amazing product, I don’t workout heavy without it. 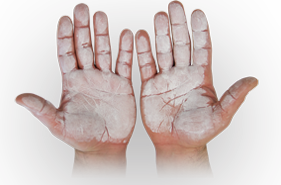 My gym doesn’t allow the use of chalk (understandable since people never clean up after themselves) and I do not like the feeling of lifting straps under my hands. I tried the 1.5 oz bottle of this product and I am extremely impressed and satisfied. It does what it’s supposed to do. It makes deadlifts “easier” since I have more control and grip on the bar. Definitely recommend this product if you are lifting heavy and have grip issues. Great for eliminating sweaty hands during workouts, makes it easier to grip weight and perform movements without slipping. 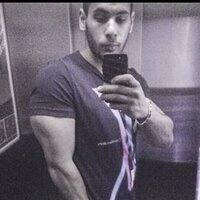 I've been dead lifting for a couple months now and got to the point where I was struggling to hold on to the bar. My hands sweat so much that anything over 335 was difficult to hold on to. I didn't really want to carry a bag of chalk with me and get it on everything. I saw this and decided to try it out. Plus I got a killer deal, 50% off!! I bought the small and large refill bottle. After one use, wow what a difference. 375 was no problem. Hands stayed dry the whole workout. Great product and a little goes a long way. My gym cracked down on powder chalk, so I gave this a shot since I am a sweaty mess of a person and I can't deadlift without it. I wish I had been using Liquid Grip instead from the start. Much better than regular chalk. I apply it and it lasts a solid 45 minutes. The grip feels better and dryer than regular chalk, too. This stuff is amazing! 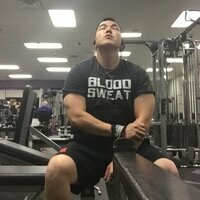 I do CrossFit and this will last my entire workout! Pretty disappointed with this stuff. 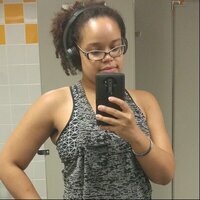 I gave it a try every workout for a week and it never lasted more than 2 sets of any exercise, even from the beginning of a workout before I could even get that sweaty. And that's a real problem during a workout consisting of 50-60 sets total exercises. I tried using a small amount and a large amount and no matter what this stuff comes off too easily on the parts of my hands that actually the bar/dumbbell. The worst part is you'll only get a really good "cure" of the product on your hands at the very first application. I tried several times during different workouts to go wash my hands and dry them before re-applying this stuff. 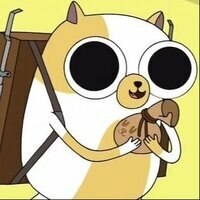 But even after that I continue to sweat and it doesn't dry as quickly. That's another problem, this stuff takes at least a minute to dry. I don't like standing around for that long during my workout waiting for some lotion to dry. This stuff is a great concept but the technology isn't there yet. I suggest you instead use regular chalk, or just invest in a very absorbent towel for your hands. At least with regular chalk, you still have to re-apply every few sets but you do not have to wait for it to dry. If your gym doesn't allow chalk, find a new gym. This stuff really helped when it came to my deadliest. It's a lot less messy than conventional chalk and actually smells really nice. I've enjoyed using this product a lot and will definitely use it more in the future!